OBS, XSplit, FRAPs, Dxtory and MSI afterburner will have similar restrictions. 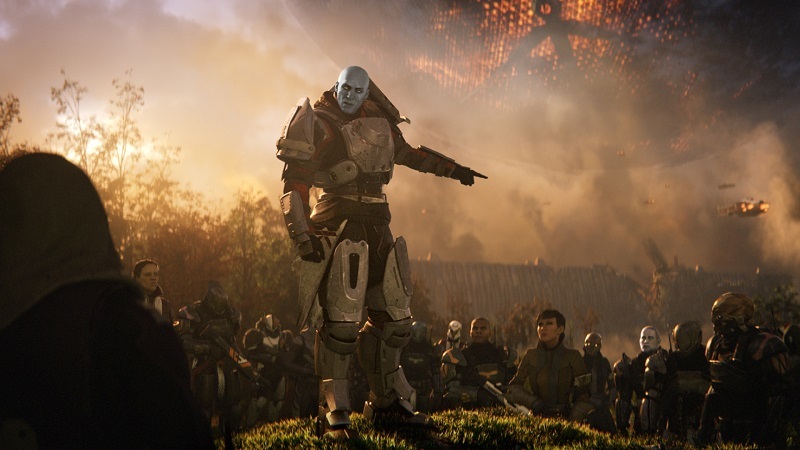 Read more on Destiny 2's restrictions on PC. Snog marry avoid? yeah, avoid. Using RivaTuner (as part of MSI Afterburner) has become like second nature for me. It's how I monitor my system to ensure there's nothing unusual going on. I've found and corrected all sorts of issued purely based on not seeing my usual framerates. They might not have been noticeable without the tool. Bad decision in my mind; and it pushes this game well into "maybe on a deep sale" buying list. Oh well, it's not like I was going to have a hope in hell of streaming it once i've maxed it anyway - however blocking comms is a little bit of a take, as that will cripple any of the "raids" as in game messaging was crap in the first one. While I get they need to do something to prevent cheaters and such things I can only feel this will hurt the game, how many preordered that might now want to refund. Tbh I've not had a good experience with blizzards methods I played a hell of a lot of diablo 3 more than is normal really, but was banned for being a bot. I've never cheated in any game and while they take action to keep things at bay in reality they are so strict that having discord or afterburner or winamp your antivirus firewall open some kind of application that they failed to account for means your a bot. I had a 2nd account and was on the same PC using the same applications I'd always done and no action taken on that account meaning they even oversight players and make desisions based on nothing other than speculation. I agree they should take action towards cheating but they should make sure they have there facts straight first, and I can see the torrent of players that will have action taken against them on mass coming with this game it'll will die off really fast in the longer term. Me personally I'll never go near a blizzard activision game again. Pre-Order cancelled for the pc version.